Leklai is considered to be the most powerful of all Thai amulets and exceptionally rare. 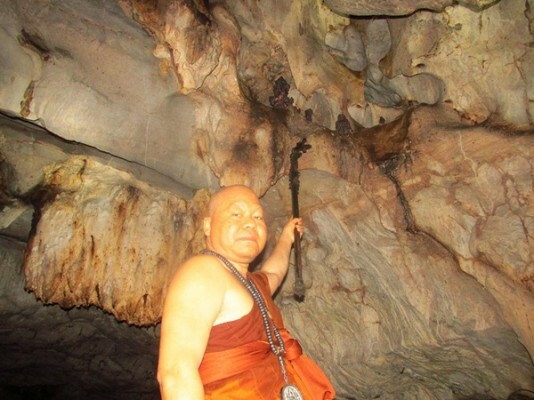 The word Leklai means “flowing metal” and it is found in sacred caves, often only revealing itself to monks who keep the sources secret. 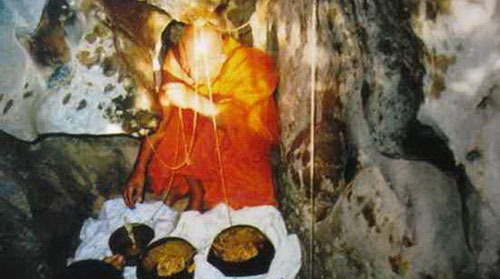 It is said that it will reveal itself only to those with a high degree of Enlightenment in the Buddhist faith. It is sometimes found in a liquid state like mercury and I have seen photos of it oozing in a molten state inside a cave and collected by the monks who shape it into capsule-like amulets while at other times it is found solid and cut into amulet shape. 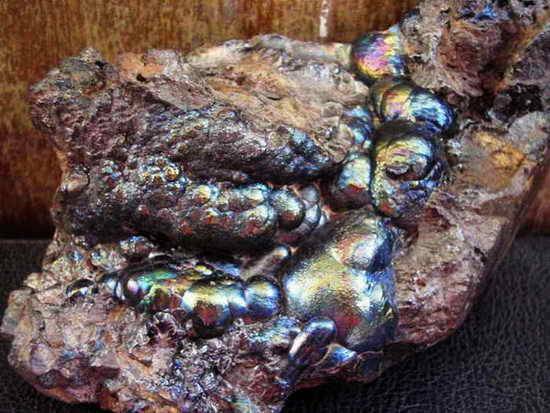 One can also see natural Leklai in amorphous form, looking somewhat like a metallic tektite. The actual content of the material is not yet known, some leklai attracting to a magnet and others not. It is believed that the substance will protect its caretaker from any harm or evil. It reputedly will seek out its proper caretaker and come and go of its own will. It should only be acquired by a caretaker who is very serious about its care.